Recently while discussing fly designs with some friends, the topic came up of which patterns had most influenced the course of saltwater fly fishing and fly tying. After a little debate, we each made a short list of flies that we felt had become classics, either through creative designs or impressive track records. We were surprised to find our lists were virtually the same. Here are four of the flies that made our lists, and why we chose them. Del Brown’s name is synonymous with a very special fish- the permit. By all accounts, Del is reported to have caught more permit on a fly rod than anyone in history. And that is no small accomplishment because the fickle, picky attitude of the permit is legendary. Some folks spend years trying to catch just one. Del no doubt was a fine angler, but he had a secret weapon- a fly that could trick permit better than any other. The fly was called a Merkin and it was a weighted crab pattern constructed from trimmed strands of tan rug yarn and white rubber legs. In the vise the Merkin looked like a crab… sort of. But on the flats where permit roamed, it had no equal. For many anglers, Del Brown’s Merkin crab actually made it possible for them to catch a permit. And, it laid the groundwork for a style of fly tying used in many of the crab and shrimp patterns we see today. Del will no doubt be remembered for his skill as a permit angler, and his Merkin crab will likely go down in history as one of the first, and possibly the best, permit flies ever tied. In the late 1970’s, Bob Clouser was experimenting with designs that could make a fly match the action of lead-head jigs used by anglers with conventional tackle. His early experimental patterns used lead shot crimped around the hook shank to provide the weight necessary to make them rise and fall like a jig. These flies caught fish but tying them was impractical. Then, in 1985 Tom Schmuecker of Wapsi Fly Company sent Bob some lead dumbbell eyes he had developed using special molds. 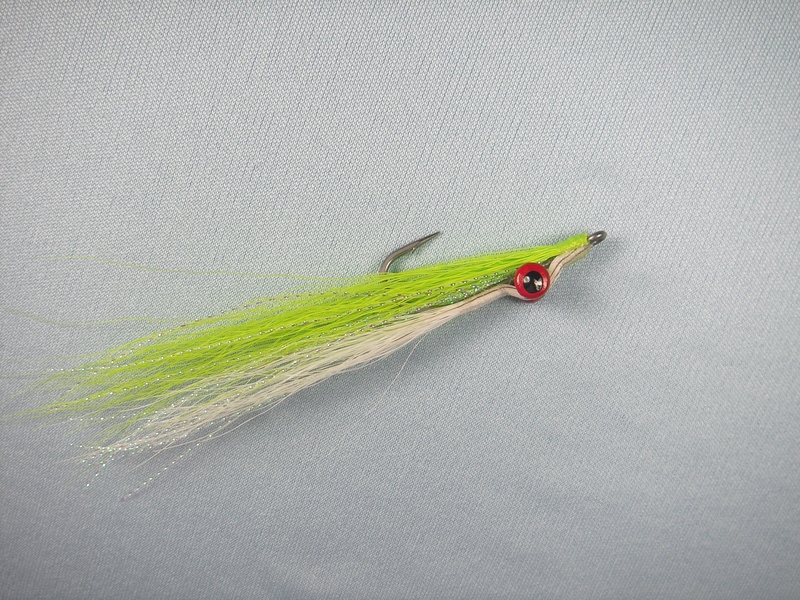 Bob began using the eyes on a fly tied in the inverted style of the Crazy Charlie. He quickly realized the heavy eyes were the missing link to the action he was looking for. He slowly refined his design and narrowed down color and flash combinations that were effective. After trying the new pattern, Bob’s friend Lefty Kreh suggested he call the fly the “Clouser Deep Minnow,” and a legend was born. The Clouser Deep Minnow did two things no previous fly had done. First, it had an exaggerated up-down action… just like a jig. This action was irresistible to fish. Second, (like its name suggested) the Clouser Deep Minnow could go deep. As Lefty Kreh put it, “It sank like an anvil in a swamp.” This made it possible for anglers to present a fly with a very attractive action to fish in deep water or in strong currents. As elementary as it was, Bob Clouser had created a fly that performed like a jig. His new pattern was easy to tie and incredibly effective. This was a quantum leap in fly fishing and it opened up countless new opportunities for anglers. To date, The Clouser Minnow has accounted for more record book catches than any fly in history. Nearly every fly angler on the planet has one in his fly box. In the mid 1970’s, angler Bob Popovics began experimenting with epoxy as a way to protect flies from the ravaging teeth of bluefish. At the time, a few fly tyers were using epoxy to coat thread wraps on their patterns and some were using it to coat entire flies. Although tough, these coated flies were crude and gained little acceptance among anglers. Popovics knew epoxy had great potential as a fly tying material if he could figure out an efficient way of using it. Then in the mind 1980’s he discovered a simple method to manipulate wet epoxy into the body fibers of a baitfish pattern using a bodkin needle. With his new technique, Popovics produced a promising fly with an indestructible glass-like head and a lifelike fibrous tail. A few years later, synthetic fibers hit the market and Popovics incorporated these tough translucent fibers into his epoxy pattern. The result was a fly that was beautifully lifelike and incredibly durable. Popovics called it, “Surf Candy.” The Surf Candy fly immediately caught on with East Coast anglers because it was easy to cast, tough enough to stand up to bluefish, and lifelike enough to fool false albacore. The innovative methods Popovics used to create the Surf Candy lead to the development of eel and shrimp patterns that were equally durable and lifelike. Today, Popovics’ epoxy flies have established themselves as mainstream patterns and his methods of manipulating epoxy have become fundamentals of saltwater fly tying. If you spend much time fly fishing for redfish, you will become familiar with the Spoonfly. A deadly pattern for many different saltwater and freshwater species, this fly has become a go-to fly for Texas flats fishing. And although many anglers are out there whipping redfish with their spoonflies, few are familiar with the pattern that started it all- Jon Cave’s Wobbler. I don’t know what year the Cave’s Wobbler actually hit the streets, but the first one I ever saw was circa 1992. I remember it clearly, because I thought it was the coolest, most innovative fly I had ever seen. I still do. 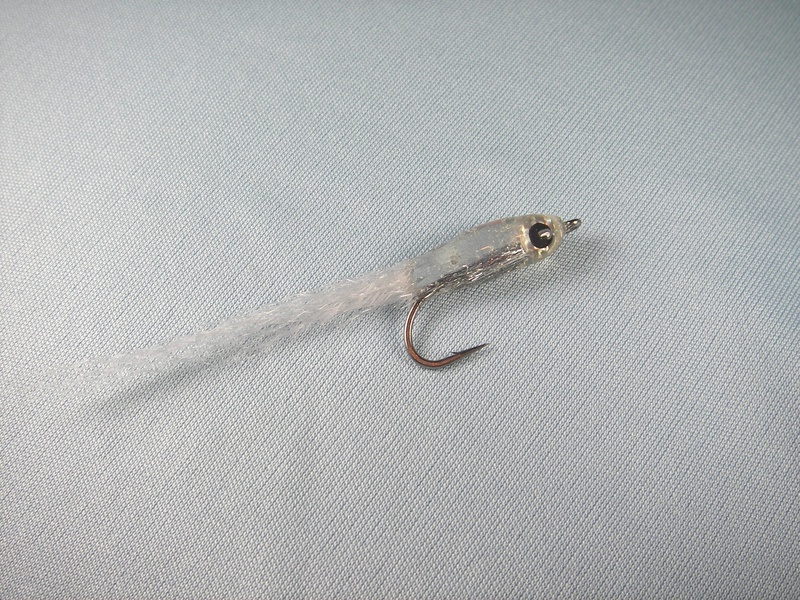 Crafted from flattened epoxy coated mylar tubing and outfitted with a stout wire weed guard and black bead chain eyes, the Wobbler was one of those flies you wished you had invented. At the time, no other fly was even remotely like it. The Wobbler basically looked like a cross between a spoon and a shrimp. Although they were a bit tough to cast, Wobblers had a terrific fluttering action in the water and were absolutely weedless. The original Wobblers were gold, but a pearl version became available a few years later. 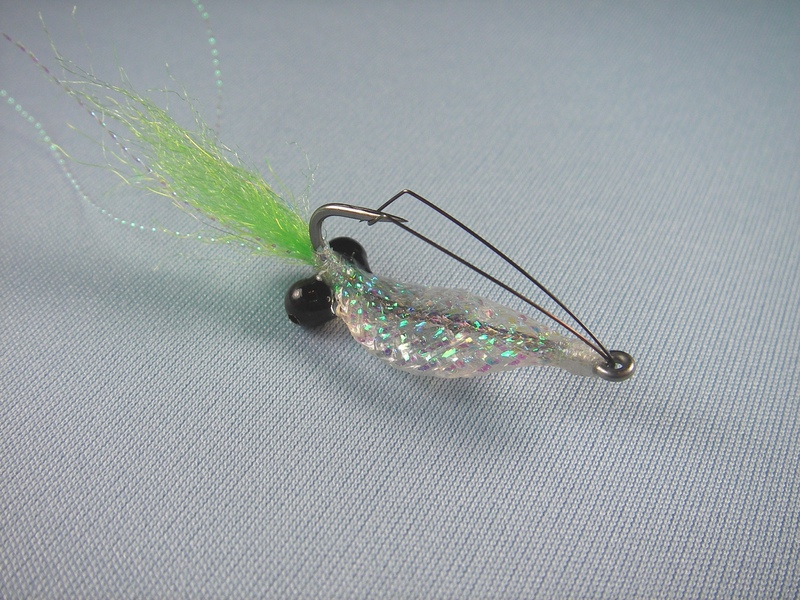 You don’t see many Wobblers around these days, and most spoonflies are tied with iridescent mylar tape instead of mylar tubing. 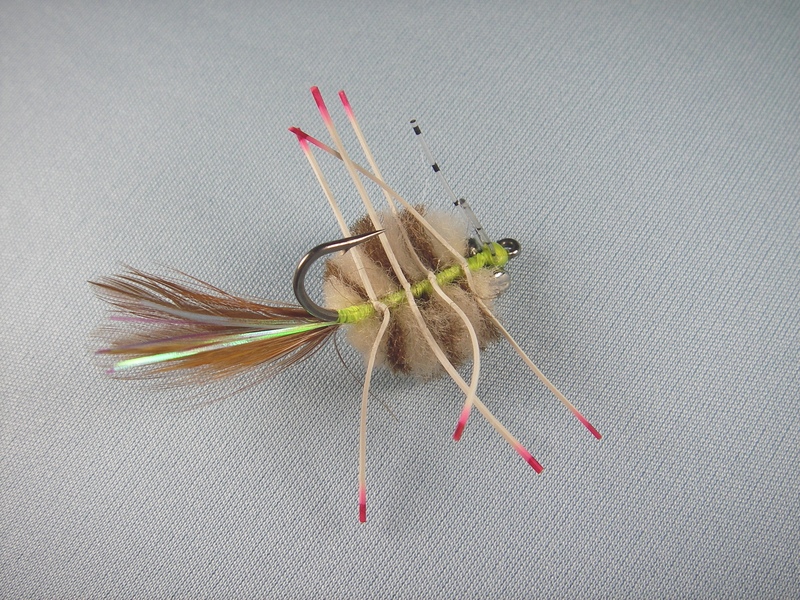 These streamlined designs are deadly flies for catching fish on the flats. And even though they are sleeker and flashier than the original Wobblers, we still have Jon Cave to thank for the innovative design that started it all.